Find available colors in the desired design. Simply click on the desired ceiling tile to see all colors that in comes in. Click arrow for more designs. Antique Ceilings a Part of Social Networks! To find out announcements, specials, new products as well as be able to talk to other people about interior decorating, home improvement ideas, and of course decorative ceiling tiles. Antique Ceilings is an active member of Google+, FaceBook, and Twitter. Please click on the social network's logo in order to join a growing group of followers. Being a part of a social network will give you updates on our products and Antique Ceilings as a whole company. You will also be first to know if any specials and sales. We would also encourage you to post your experience with installation and post project completion. Others as well as everyone at Antique Ceilings will love to see your newly finished ceiling. Everyone here at Antique Ceilings is proud to provide an innovative product that we truly believe is a More Sophisticated Alternative To Tin Ceiling Tiles. 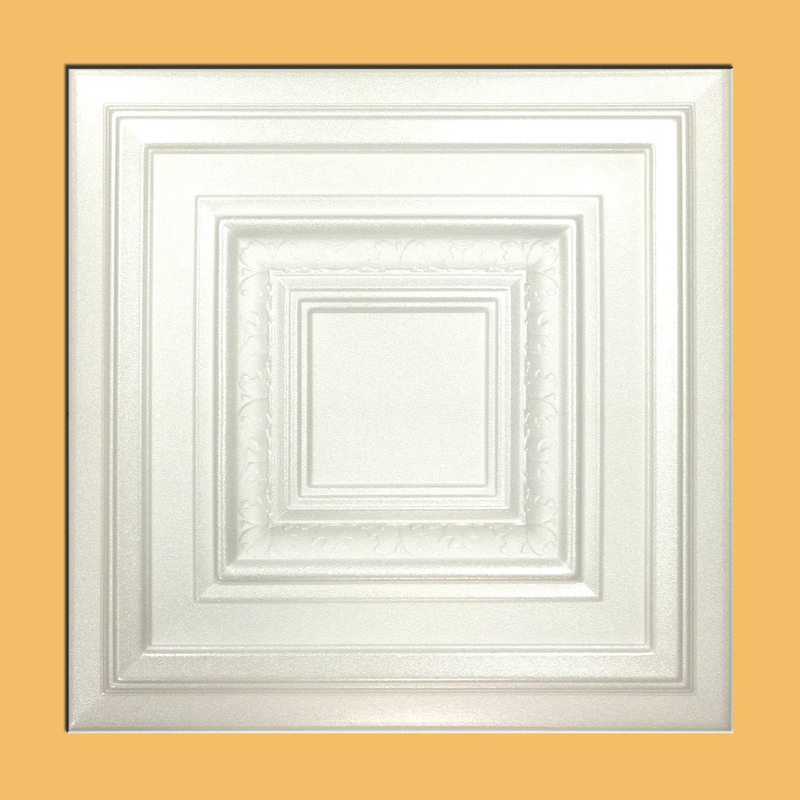 Antique Ceilings Inc is proud to provide high quality, PVC made, ceiling tiles. 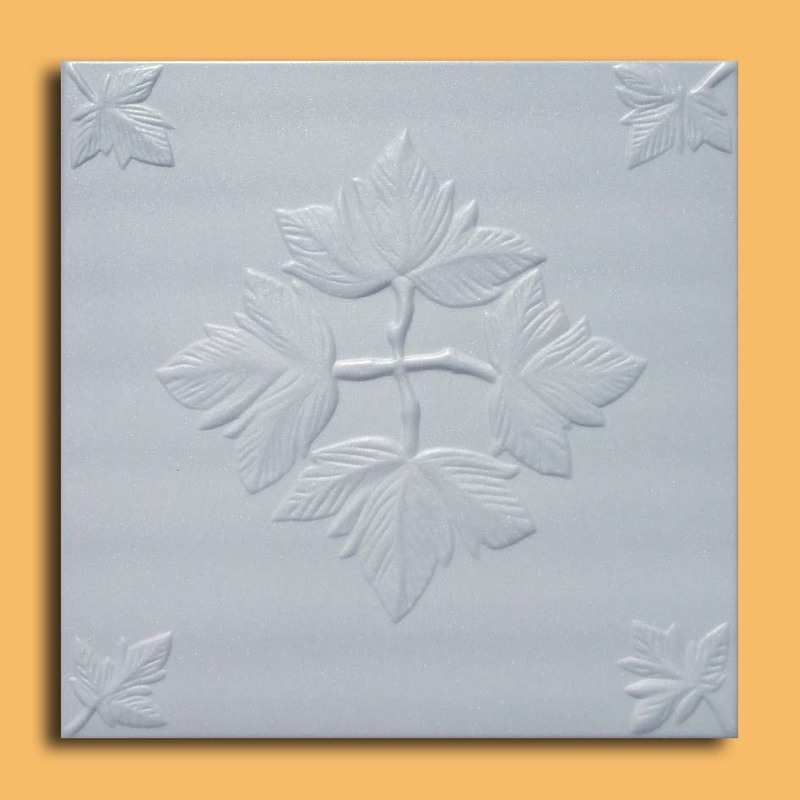 Made in USA, our PVC ceiling tiles are molded to mimic some of the most beautiful design themes from around the world. 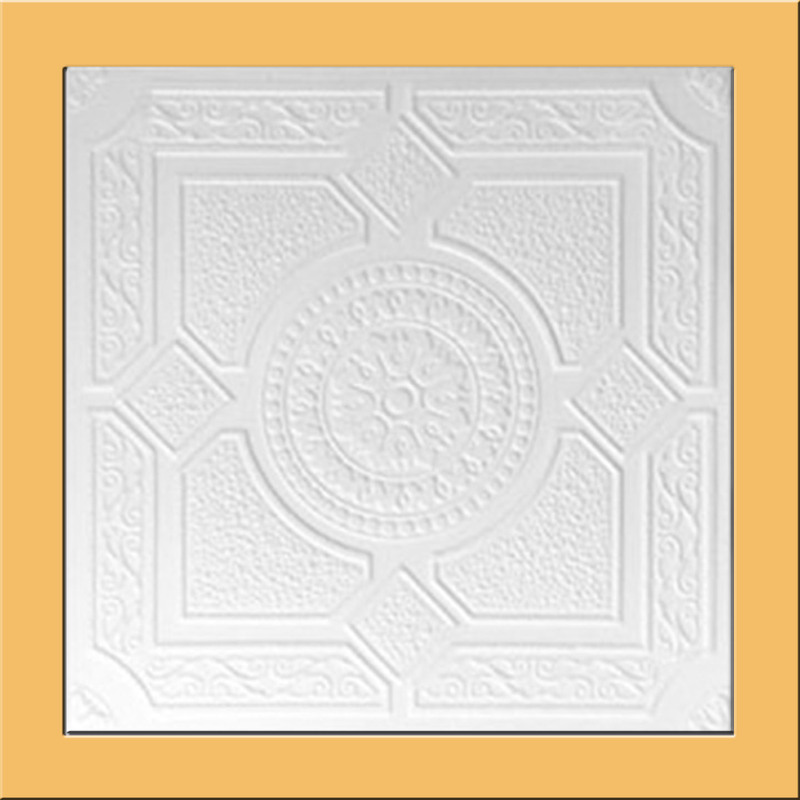 We have a large selection of faux tin ceiling tiles that will work great with the following decorative styles: Art Deco, Asian, Contemporary, Country, Eclectic, French, Mediterranean, Modern, Moroccan, Traditional, and Western. We also only use highest grade PVC materials - UL 94 Flame Class V-0 as well as ASTM E84 Class A (1) Flame Spread Index of 0. It is also 20 mil thick compared to as low as only 8 mil thickness that our competitors offer. 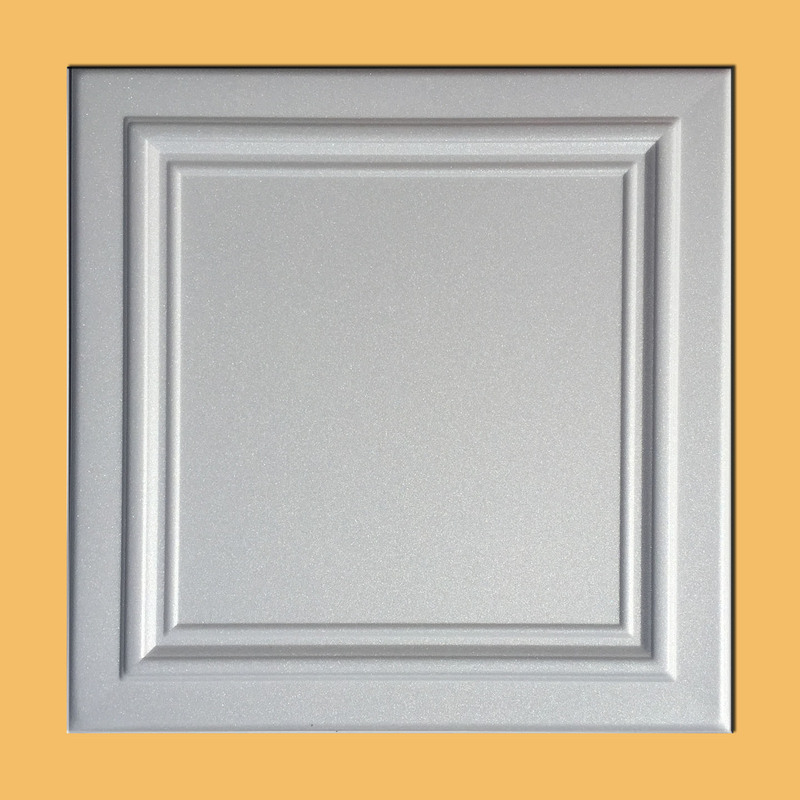 Thicker (higher mil) PVC translates into better and more rigid PVC Ceiling Tile. Our pricing might suggest cheap and flimsy, when in reality it shows highest quality and efficiency. Antique Ceilings has been established in 2003 and throughout the years our number one priority is to provide excellence in customer service. We are members of multiple business associations. Our online store is secured with Extended Certificate SSL by GeoTrust and our website protected by SiteLock. We are also very proud to posses above 99% positive feedback from our eBay Clients. 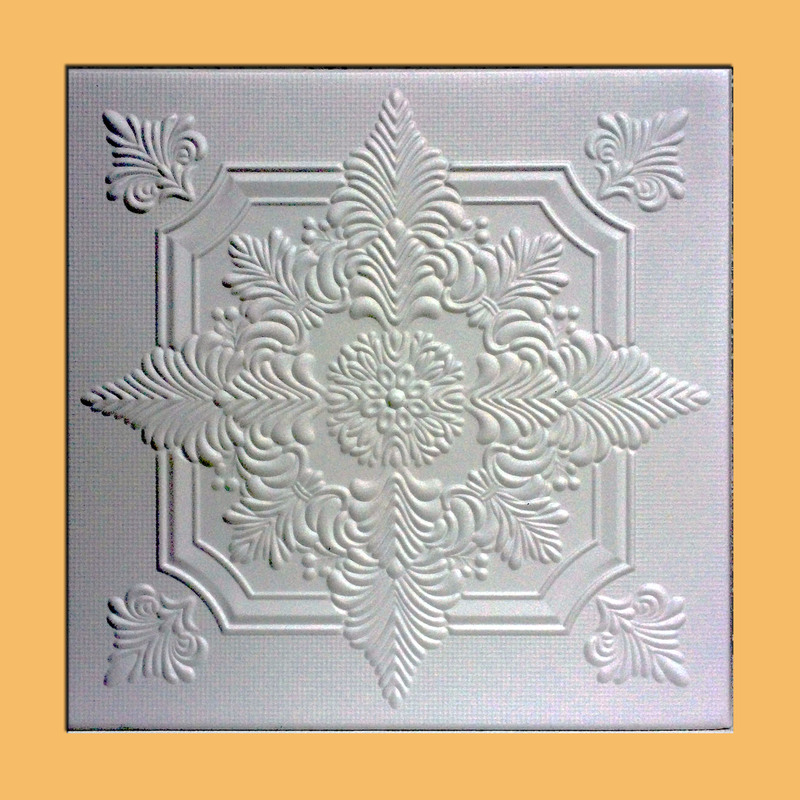 Our foam-based ceiling tiles are produced with highest quality in mind. 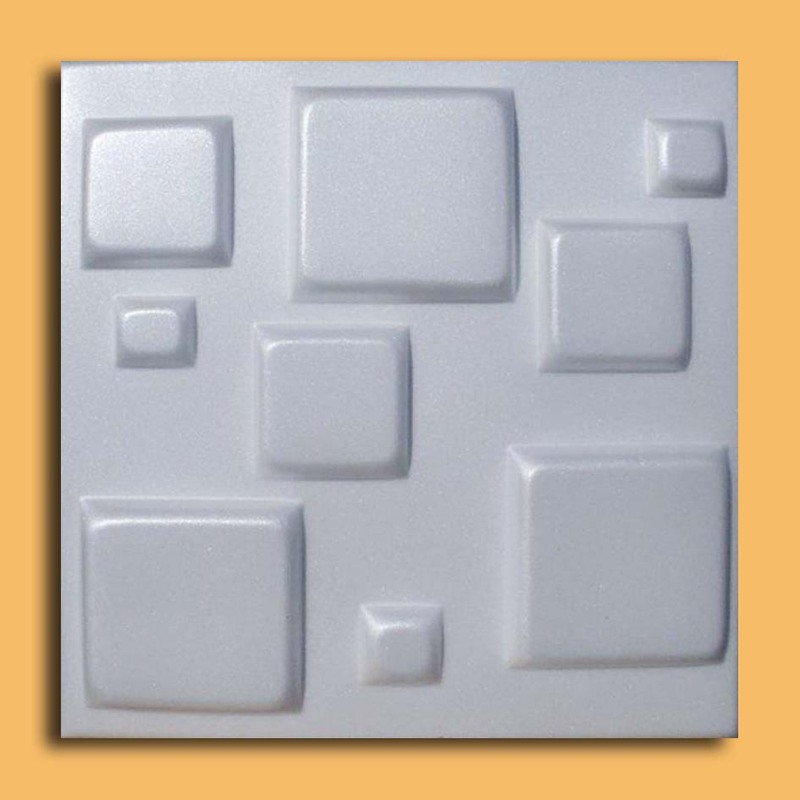 We only import ceiling tiles from European Union factories where strict manufacturing quality control is in place. 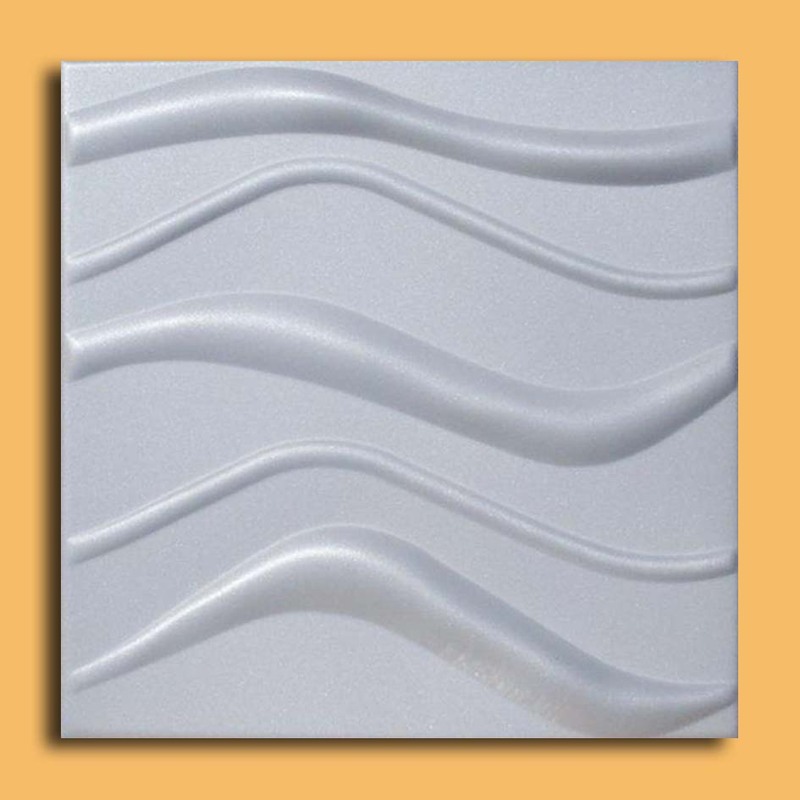 When compared to our competitors you will notice that our foam tiles are more dense and rigid. 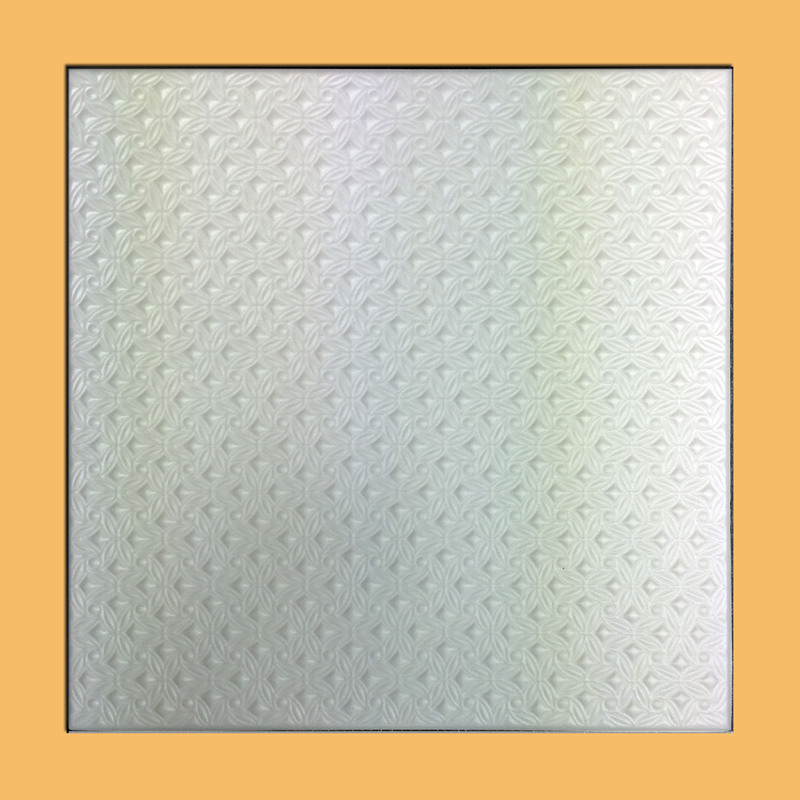 Although the foam material is 3mm - 5mm thick, each styrofoam ceiling tile will provide additional sound and heat insulation within your house. We have great results in installing these ceiling tiles in Home Theaters and Media Rooms as they dampen the sound and minimize the echo. Take a look at our product line up to view large selection of designs and finishes that we have available. FREE S&H With Order Of 100 or More Ceiling Tiles! Take advantage of FREE S&H when your order is placed for 100 or more ceiling tiles. You may mix and match ceiling tiles. This offer is valid for all orders shipped within 48 lower USA states and shipped to a physical address via UPS Ground. Sorry, We cannot ship to P.O. Box. As always, we ship via UPS Ground and take great deal of care preparing, counting & recounting each and every order. We use custom double wall boxes to make sure that your decorative ceiling tiles arrive in good condition. We ship hundreds of orders each day with average delivery time of 3-5 days. We have designed this website to make your shopping experience as simple and enjoyable as possible. There are two ways of finding ceiling tile of your dreams. You may either browse the designs from the sliding gallery at the top of each page. You will be able to pull up all of the available colors that the particular decorative ceiling tile comes in by clicking on it. Another way is to display ceiling tiles by Color category. Please select the ceiling tile category from boxes at the bottom of the page. Click on PRODUCTS to get started and you will soon be enjoying your brand new ceiling covered with our decorative ceiling tiles that will bring your decor out of dark ages! 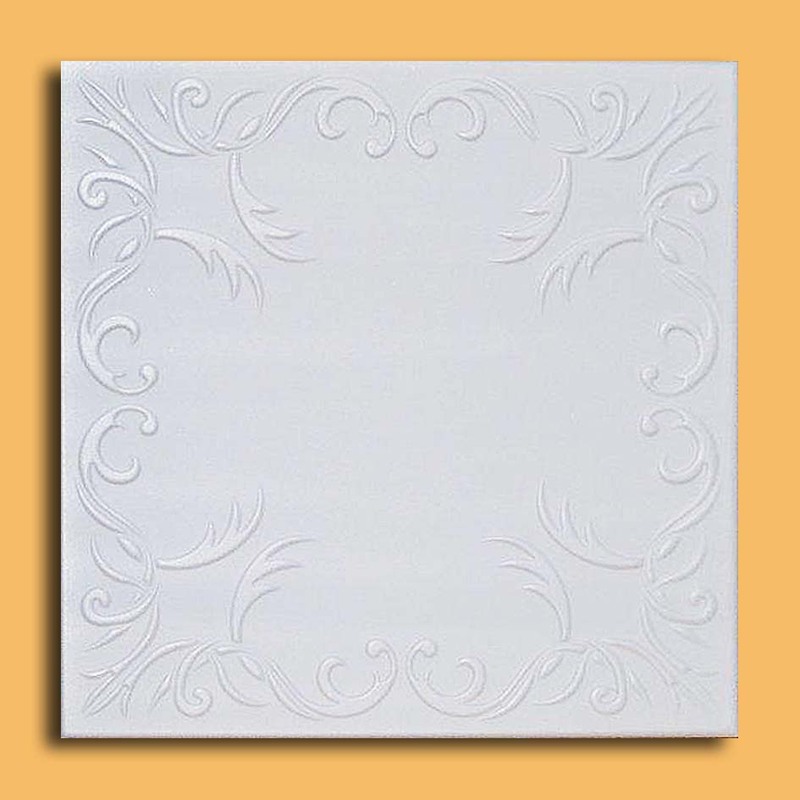 All of our ceiling tiles are designed to transform any ordinary ceiling into an extraordinary and elegant look. Everyone walking into the room will recognize the rich decor. 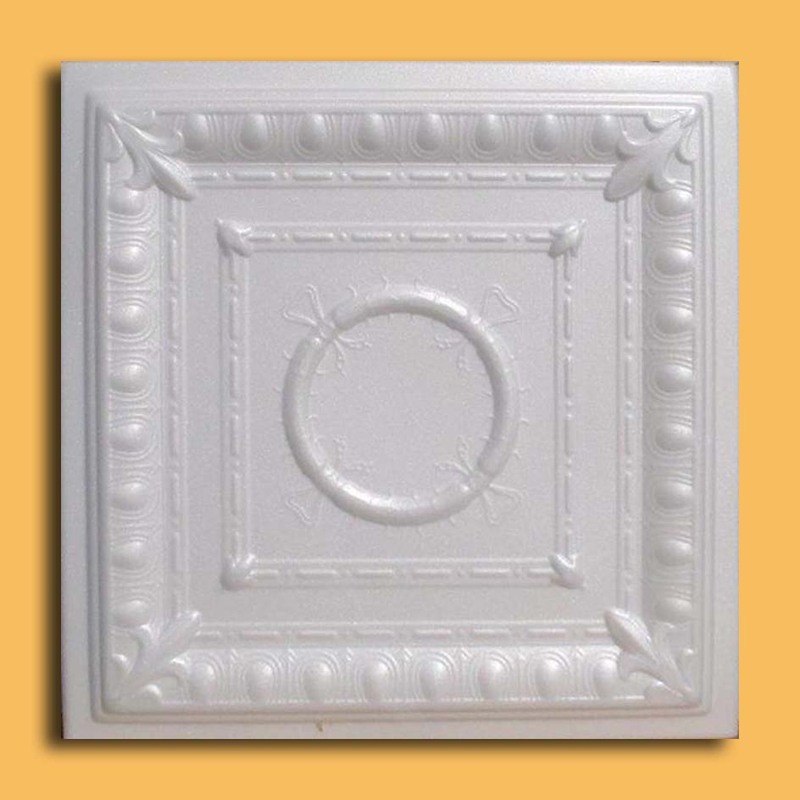 The Polystyrene, type of foam, is an ideal material for faux decorative ceiling tiles. 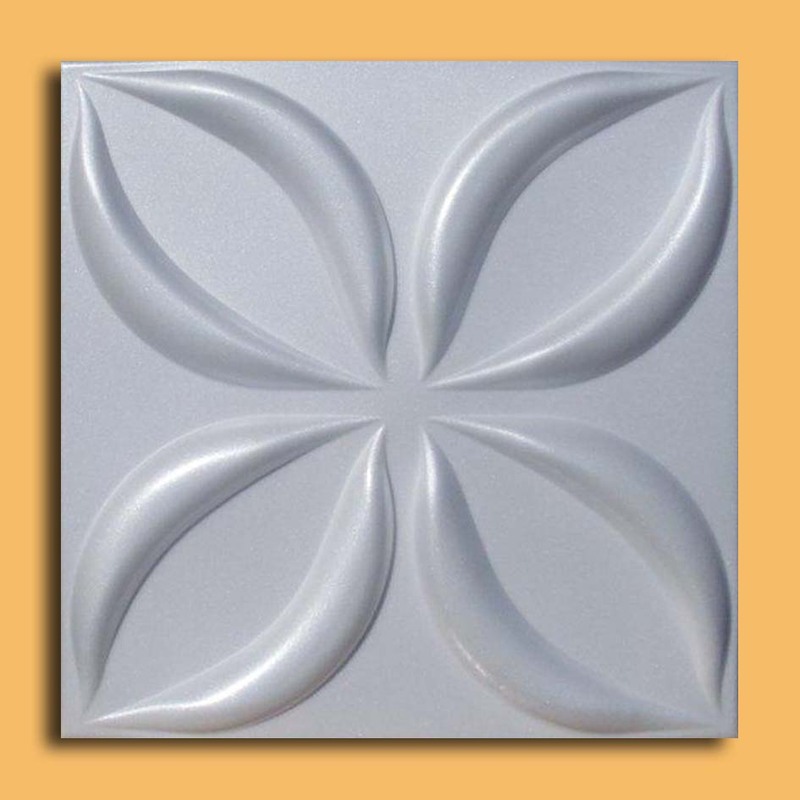 It offers smooth finish that can be molded into a wide array of very intricate designs. 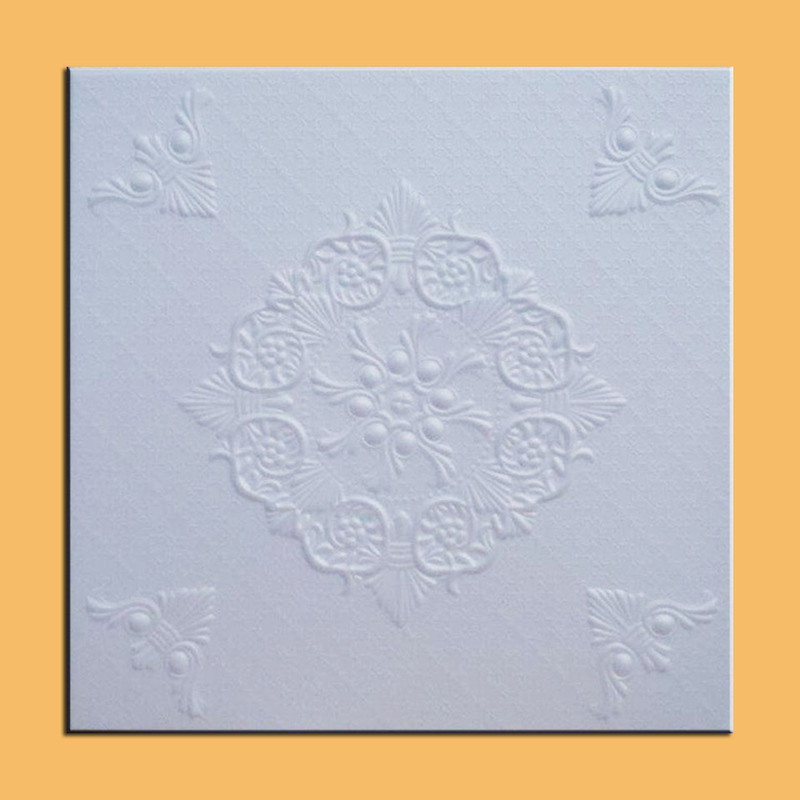 When painted with a faux finish, foam sheet is transformed into a faux tin look ceiling tile that is extremely realistic even from short distance away. 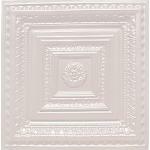 We offer foam ceiling tiles in largest selection of finishes found anywhere else. Each design that we carry is available in over 20 different colors. 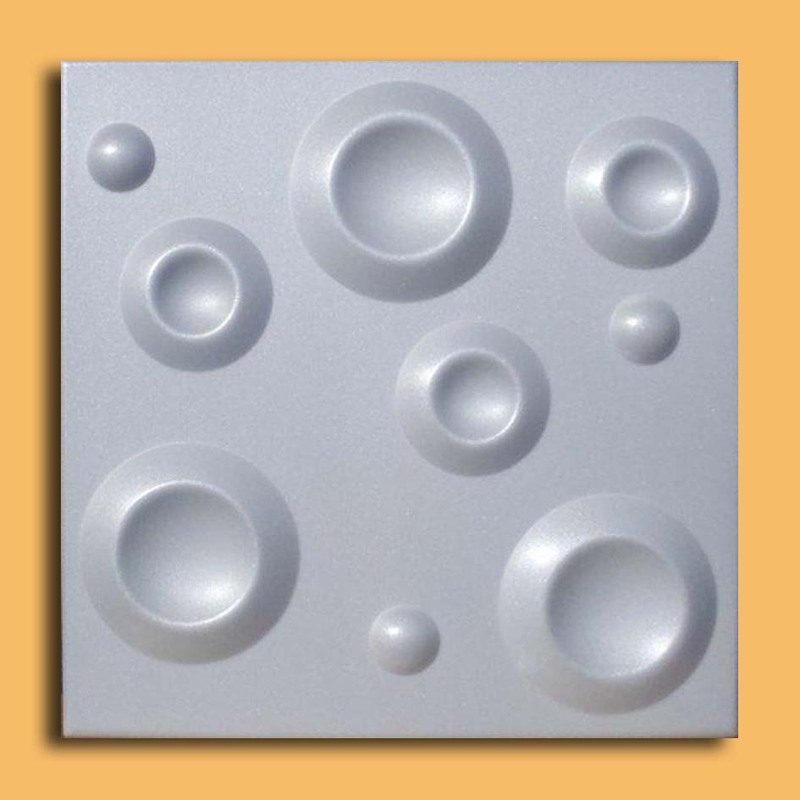 The White color ceiling tiles can be installed as is or painted with most any water/latex based paints. (before or after installation). Please contact our customer reps with any questions, concerns, or help with installation.